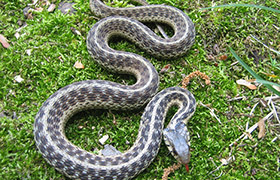 Garter Snakes: Both the common garter snake and the striped garter snake can be found in this state, one that can come in many designs and colors, but the most easily identifiable feature is a stripe running down the length of a snake, on the dorsal/spine/top of the snake. Found more often than not in the suburbs and towns of Illinois, they eat frogs, toads, and other water-swelling creatures, meaning they can also be found in moist vegetation. They will lash out if threatened, releasing a musky, foul smell, but there won’t be any lasting damage and there is no venom to worry about. 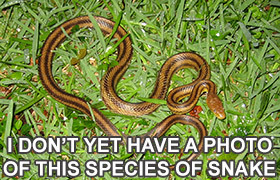 These snakes are non-venomous, very small in build, and very secretive meaning other’s a good chance you won’t ever see this species. Varying in colors and patterns, the ring around its neck is what gives the game away, usually a bright yellow, orange or red in color against a darker color all over. 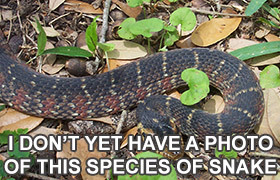 Just as the name suggests, these snakes are very strong swimmers and often prey on creatures that live close to water - frogs, salamanders, toads, earthworms, slugs and snails with the occasional side helping of insects. 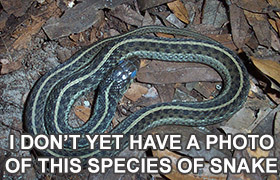 The ribbon snake is another harmless and non-venomous snake with colors and patterns that will vary dependent on species and location. Generally eating foods like insects, slugs, minnows and worms, you may find these in your garden and are commonly found as household pets because of their calm and docile nature. Milk Snake: You may spot two species of milk snake in the state - Eastern Milk Snake or Red Milk Snake. 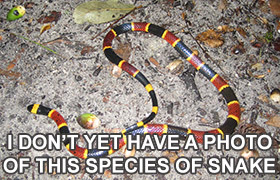 Brightly colored and often confused with the coral snake (a venomous snake), the milk snake with its bright red, yellow and black markings is actually relatively harmless and quite small too, only growing to a maximum of 60 inches in length. Different species will have different habitats and also markings, but they’re patterns make them very well camouflaged in leaf litter and they general dwell in forested areas. Nocturnal by nature, they'll eat other small snakes, insects, slugs, worms, snails, earthworms and crickets, but are quite opportunist hunters and will eat anything they can get their jaws on. 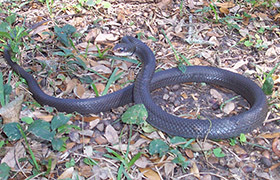 Racer Snake: Both the Blue Racer and Southern Black Racer are common snakes of Illinois, the latter of which are commonly spotted throughout the day as they hunt for prey such as lizards, frogs, mice, rats and toads. 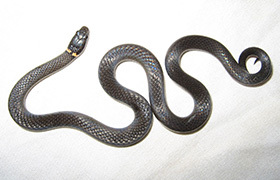 Not a great snake for a pet, the racer snake can be quite bad-tempered and will strike out with minimal provocation. Definitely one best avoided. Green Snake: You’ll find both the Rough Green Snake and Smooth Green Snake in Illinois, the difference in the two being one has smooth scales whereas the other has rough. The name gives it away. 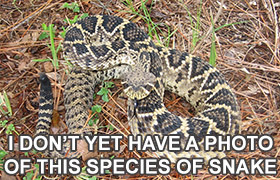 Usually a solid green color, perfect for camouflaging in long grasses and other vegetation, they have a pale colored underbelly and generally only grow to around 30-40 inches in length, making them quite a small species in comparison. 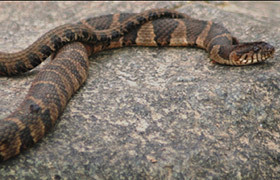 Kirtland's Snake: Another 30-40 inch snake, the Kirtland’s snake also goes by a number of other names including little red snake, Ohio Valley water snake and even spread head snake. 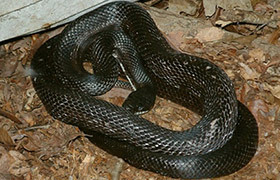 Whatever you want to call it, it’s one of the common snakes of Illinois and also parts of Kentucky, Indiana, Ohio and also Michigan. 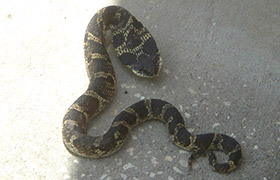 Within Illinois and Ohio, the snake is classed as a threatened species meaning numbers are low, and in Pennsylvania, Indiana and Michigan, the species is listed as endangered.